This is the next installment of a multi-part posting discussing how to re-ignite a stagnant job search. In the previous postings we have discussed learning something new as a first step followed by critically evaluating your resume, and keeping a positive attitude. Let’s continue the topic by discussing networking. Networking. You’ve likely networked with your connections as a part of your search. To re-ignite your networking efforts, start making new connections, especially on LinkedIn. Focus on new connections that you believe may be able to help or hire you. For every two new connections (or LinkedIn invitations extended), contact an existing networking contact and bring them up to speed on your job search (or any other relevant topic). For all new connections, wait a few days, and then communicate with them. Speak with them about their company, their position within their organization, and any leads they may know of. Going through this process will expand your network and lead to new conversations with new contacts while touching base with your existing network. © 2015 Brian E. Howard. All rights reserved. No part of this response or post may be reproduced in any form or by any means, electronic, mechanical, digital, photocopying, or recording, without the expressed written permission from the author. This is the next installment of a multi-part posting discussing how to re-ignite a stagnant job search. Attitude. Shake off the disappointments of the past. Get over it and “out of yourself”. Today is a new day! Staying in a pity party serves no purpose. Besides, you’re going to change what you’ve been doing to more productive activities. You have reason to be optimistic! Things are about to change because you are going to use new strategies to create job search activities. It will be work, but the results will be different. But, it all starts with your attitude. Get positive. Be positive. Do what needs to be done (with a smile despite momentary setbacks) and you will begin to experience positive results! 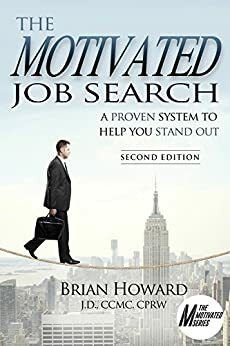 This is the next installment of a multi-part posting discussing how to re-ignite a stagnant job search. In the first post we discussed that learning something new is an important step in reviving a stale job search. Let’s continue the discussion. Resume. Critically evaluate your resume. Does it present “you” persuasively? Be critical and honest with your evaluation. If you wrote your resume yourself, seriously consider contacting a professional resume writer and have it evaluated. Could improvements in content and formatting be worth the cost to have it re-done? Having a new resume is a change that can improve your confidence during your search. Don’t forget, any changes to your resume should also be reflected on your LinkedIn profile, too!